KillSwitch lets you run programs from the command line interface with admin privileges or the privileges of the currently logged-in user. 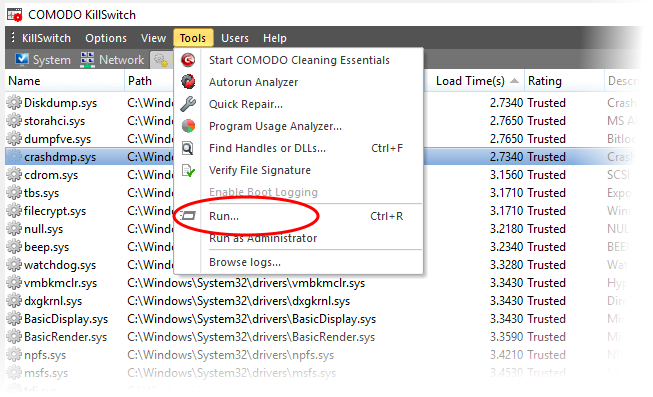 Alternatively, click the run icon from the toolbar. 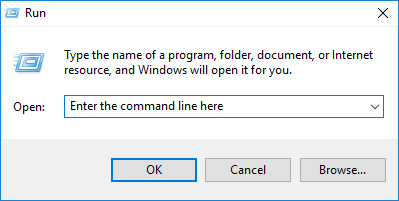 Enter the command or browse to the file/program you wish to open by clicking 'Browse'. 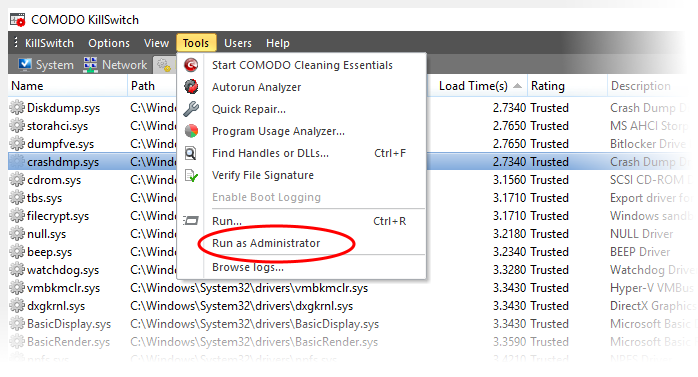 Click 'Run as Administrator', on the 'Tools' menu. The 'Run' dialog opens. 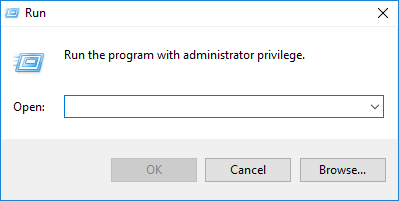 Enter the command or browse to the file/program you wish to open with administrative privileges by clicking 'Browse'.